"How Can the Court of Chevalier's Help YOU? 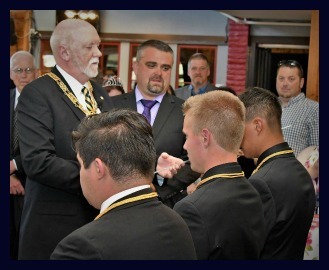 The Colorado Court of Chevaliers has promised to serve Colorado DeMolay. What can we do for you? Need some Advisor's to ensure adequate coverage? Give us a call! Need to bounce some ideas off a different set of ears? Give us a Call! Think there is a program the Chevalier's could present? Give us a Call! 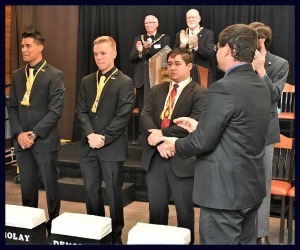 "The Colorado Court of Chevalier's was pleased and honored to welcome Brothers' Canion, Seaghan, and JD as it's newest members. 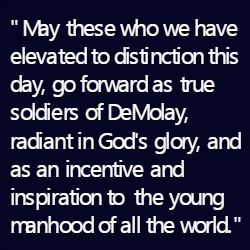 These young men have worked hard for DeMolay and we know they will continue their work in the years to come.